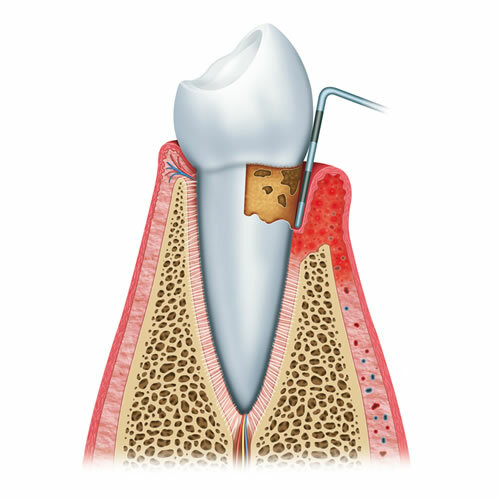 Periodontal disease is treated according to its severity. 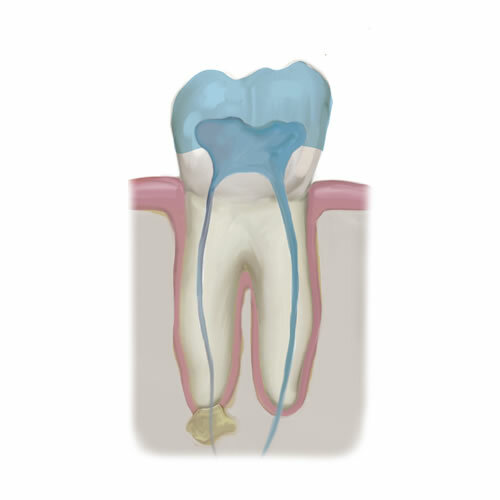 We perform procedures such as Perio Protect, Scaling and Root Planning, Periodontal Maintenance, etc. 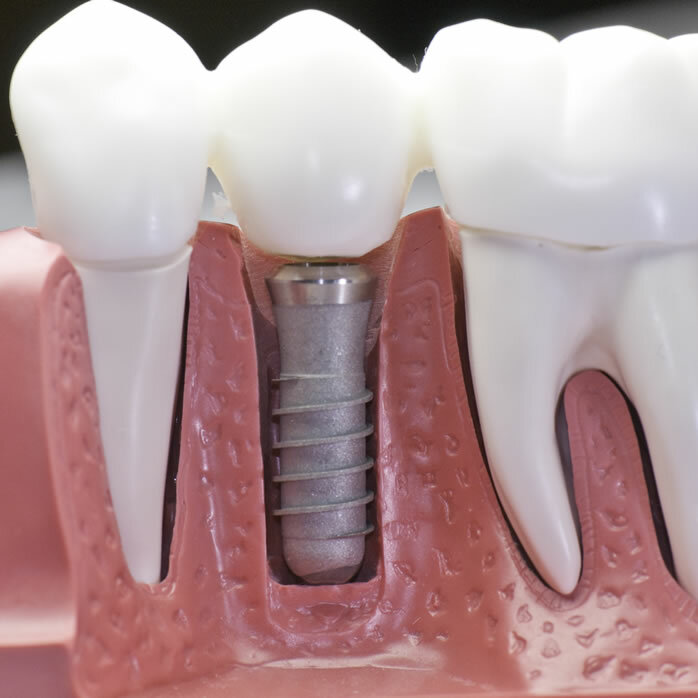 This procedure requires little or no anesthesia and can be the ideal choice for improving the appearance of the front teeth. 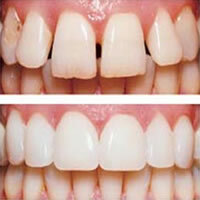 Veneers are placed to mask discolorations, to brighten teeth and to improve a smile. 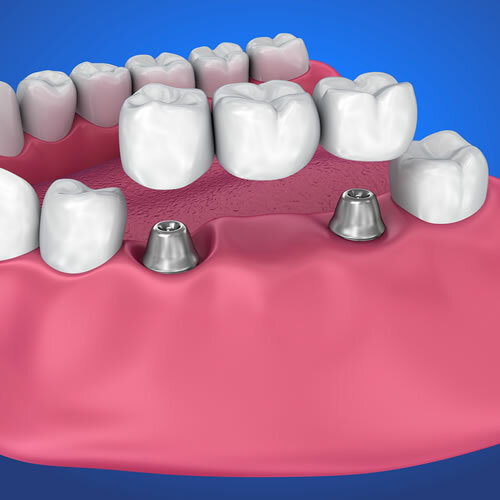 This minimally invasive foundation, machined from a high-grade titanium, is critical for patients who will be receiving a replacement tooth. 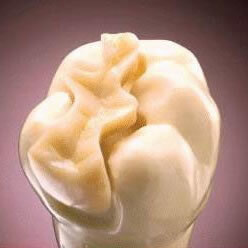 Porcelain onlays are glass-like fillings that take a minimum of two visits, possibly more. 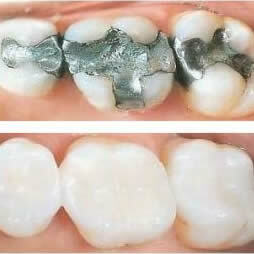 Bonding is a tooth-colored material used to fill in gaps or change the color of teeth. Requiring a single office visit, bonding lasts several years. 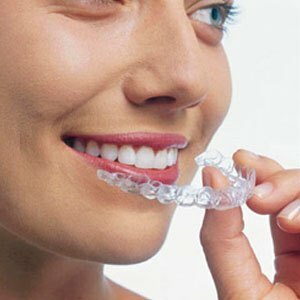 If you’re looking for a cutting-edge approach to straighter teeth and minimal interference in how you live, then Invisalign is the solution. 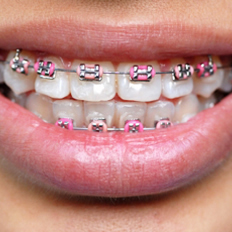 Investing in orthodontics can prevent tooth decay by correcting misaligned teeth that make good oral hygiene a difficult task.